The Google Play store provides users with access to download many types of applications, or apps, and games to download and play on their computer, smartphone, or tablet. Some of the apps and games are free to download, while others cost a small fee. 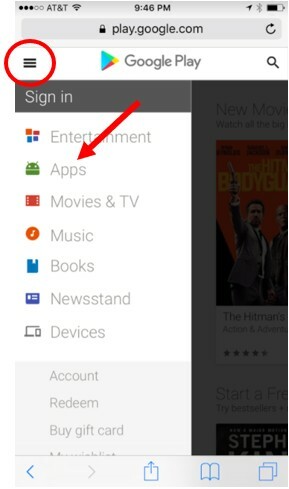 To download an app or game from the Google Play store for a computer, follow the steps below. The page will show a refined list of apps or games, based on the type or genre you selected. Find the app or game you want to download and click on the icon or name of it. Tip: You can also search for an app or game using the Search text box at the top of the page. Note: Some apps and games on the Google Play store are not compatible with Microsoft Windows or Apple macOS. If an app or game is not compatible with your computer, you will see a message stating “Download from Google Play for computer” on the app or game page. To download an or game from the Google Play store for a smartphone or tablet, follow either of the steps below. If you’re using an Android smartphone or tablet, you can use the Google Play app to find and download apps and games using the steps above. iPhone and iPad users can download the Google Play app from the Apple App store, then follow the steps above. The page will show a refined list of applications or games, based on the type or genre you selected. Find the application or game you want to download and tap on the icon or name of it. Tip: You can also search for an app or game by tapping on the magnifying glass icon at the top-right of the page. Type in the name of the app or game you want to find and tap the Search button.